The site comprises 244 islands, islets and coastal areas located in the Gulf of California in north-eastern Mexico. 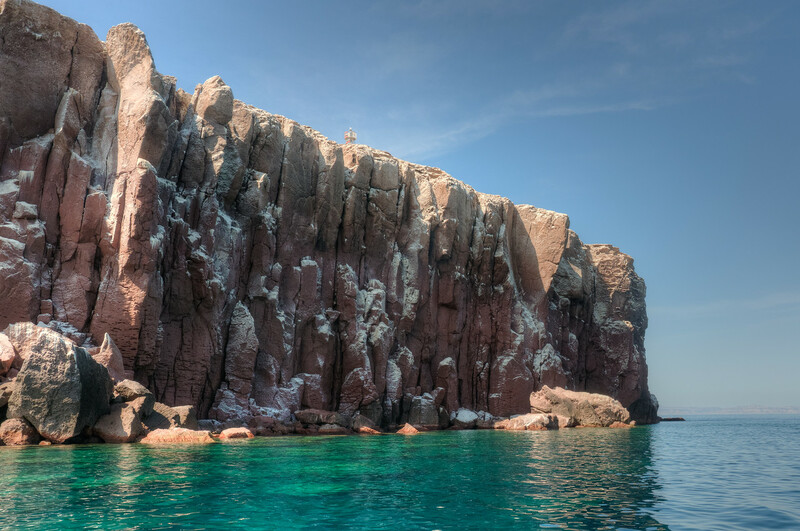 The Sea of Cortez and its islands have been called a natural laboratory for the investigation of speciation. Moreover, almost all major oceanographic processes occurring in the planet’s oceans are present in the property, giving it extraordinary importance for study. The site is one of striking natural beauty in a dramatic setting formed by rugged islands with high cliffs and sandy beaches, which contrast with the brilliant reflection from the desert and the surrounding turquoise waters. The site is home to 695 vascular plant species, more than in any marine and insular property on the World Heritage List. Equally exceptional is the number of fish species: 891, 90 of them endemic. The site, moreover, contains 39% of the world’s total number of species of marine mammals and a third of the world’s marine cetacean species. The property ranks higher than other marine and insular World Heritage sites as it represents a unique example in which, in a very short distance, there are simultaneous ‘bridge islands’ (populated by land in ocean level decline during glaciations) and oceanic islands (populated by sea and air). Moreover, almost all major oceanographic processes are present, of extraordinary importance for the study of marine and coastal processes. These processes are indeed supporting the high marine productivity and biodiversity richness that characterize the Gulf of California. The diversity and abundance of marine life associated with spectacular submarine forms and high water transparency makes this a diver’s paradise. In August 2011 I visited the island of Espiritu Santo near La Paz, Mexico. We went out via boat and saw an abundance of marine life including sea lions, dolphins and sea turtles. 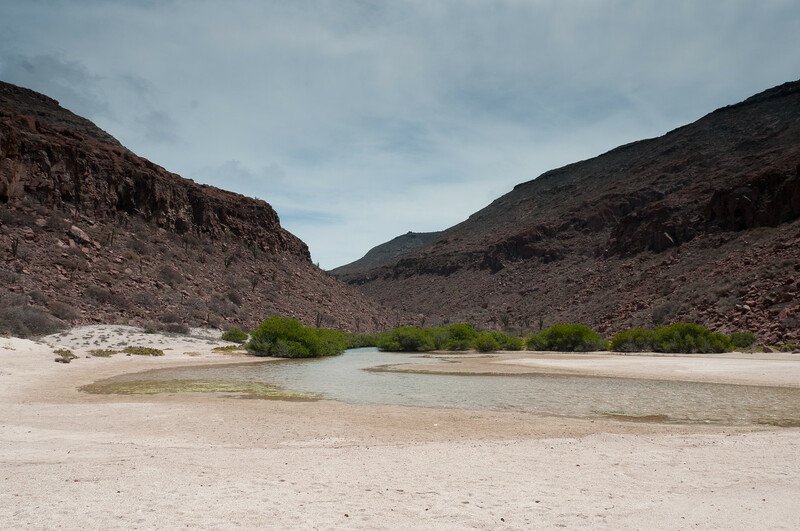 The arid islands offered a sharp contrast to the deep blue waters of the Gulf of California. 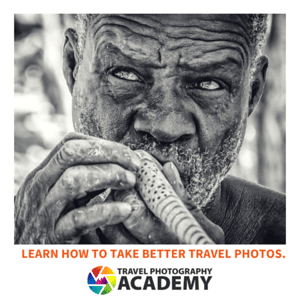 It was a great experience and one that I would do again in a heartbeat. 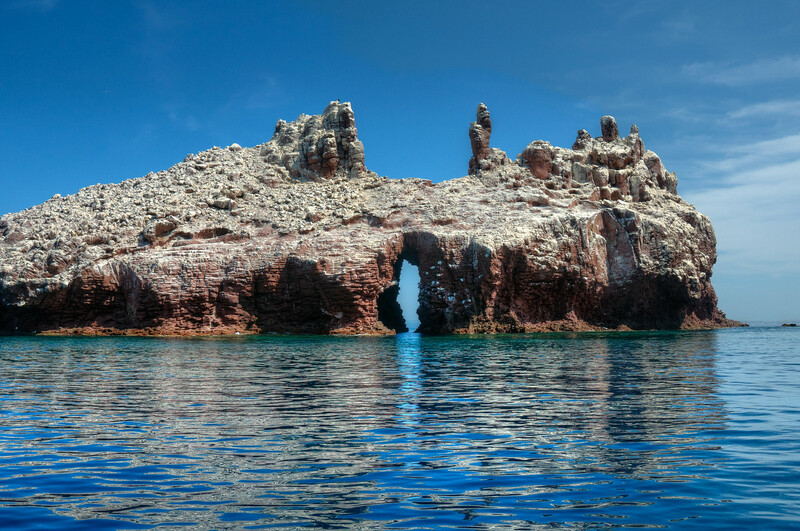 The Islands and Protected Areas of the Gulf of California is a natural UNESCO World Heritage Site. This serial property consists of 244 islands and oceanic marine zones. It was recognized by UNESCO for its marine landscape, as well as rich marine coastal habitat. In fact, this area has been described as ‘the world’s aquarium’. The Islands and Protected Areas of the Gulf of California are located within the Baja California and Sonora Mexican state. It was recognized by UNESCO as a World Heritage site in 2005. This UNESCO site is a marginal sea located within the Pacific Ocean. It serves to distinguish the Baja California Peninsula from the mainland of Mexico. This protected area has a total coastline of 4,000 kilometers in length. Meanwhile, the total surface area for the entire gulf is at 160,000 square kilometers. This makes the Baja California as the world’s second longest peninsula. Only the Malay Peninsula in Southeast Asia is longer. According to UNESCO, the Islands and Protected Areas of the Gulf of California is the most diverse sea on the planet. There are over 5,000 micro-invertebrates that thrive in the region. Meanwhile, there are also about a million people that inhabit the region. 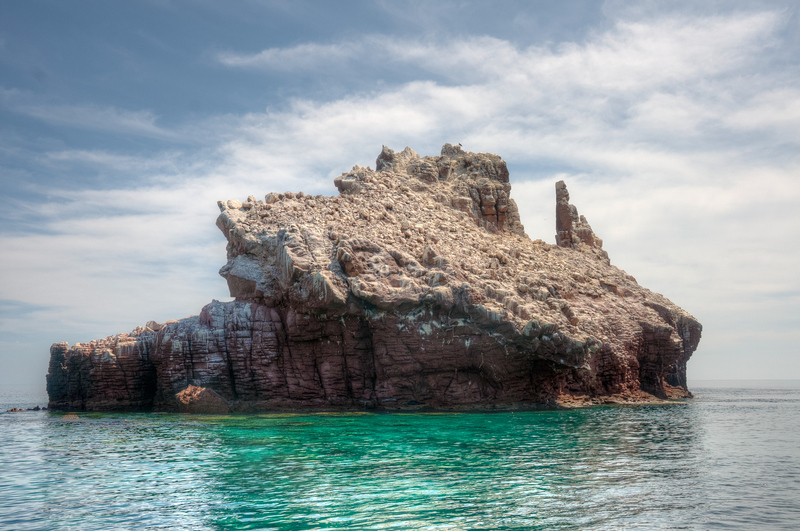 This natural landscape in the Gulf of California was believed to have existed since 5.3 million years ago, according to geological evidence gathered by scientists. Volcanism has also largely impacted the land formations in the area. In fact, it is believed that the island of Isla Tortuga was formed due to volcanic activity. As for the shores, there are three types of them available at the protected area covered by UNESCO: sandy beach, rocky beach, and tidal flat. Aside from the unique geological formations, the Islands and Protected Areas of the Gulf of California feature an abundant marine life. It is known to have a unique and rich marine ecosystem. There are several endemic marine species that inhabit the waters of the Gulf of California. Meanwhile, it is also home to the endangered species known as the desert porpoise. Among other marine species that thrive within the Islands and Protected Areas of the Gulf of California are manta ray, leatherback sea turtle, killer whale, humpback whale, blue whale, and the Humboldt squid. Since this area has had a history of the commercial fishery, UNESCO and other local organizations are currently working hard to restore the number of fish species that live within the region after years of over-fishing. In 2007, Islands and Protected Areas of the Gulf of California were extended by UNESCO. This extension meant that the Islas Marietas National Park and Archipelago de San Lorenzo National Park was included into the protected area. Along with the extension, the boundary change was also modified. Absolutely beautiful. It reminds me of some of the lonely islands off of South Korea’s southern coast. I got to do a bit of deep sea fishing out there in 2009 and it offered up some great photo opportunities. It was an outstanding destination. I would love to camp on that island next time I visit.